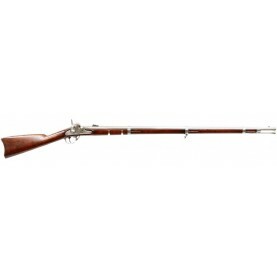 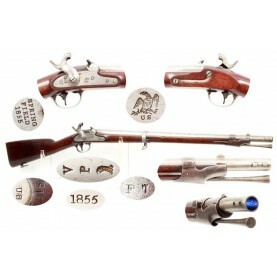 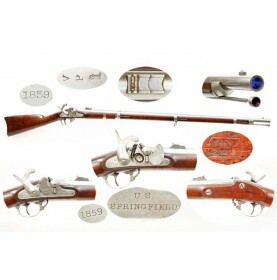 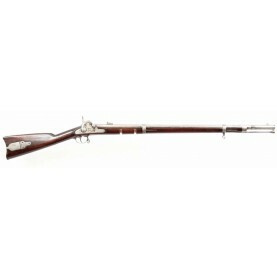 This is a VERY FINE condition example of the US M-1855 Rifle Musket, as produced at the US national .. 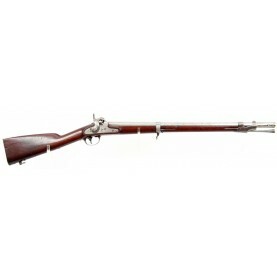 The US M-1855 Rifle is one of the scarcer primary issue US military long arms that was produced duri.. 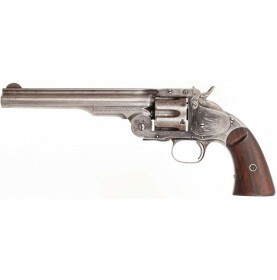 This is a FINE condition example of one of the rarer and less often encountered breechloading Civil .. 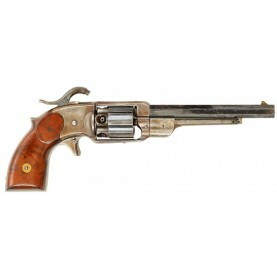 In 1870, the US Army purchased its first large lot of self-contained cartridge handguns. 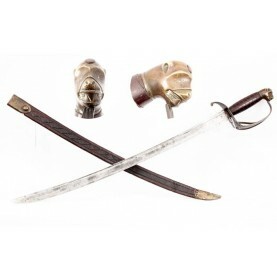 The purchas.. 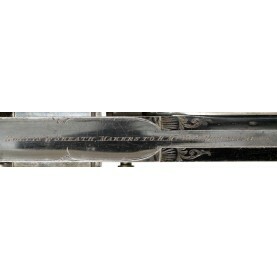 This is a FINE condition example of a large frame, 54-Bore Tranter’s Patent 4th Model, Single Trigge.. 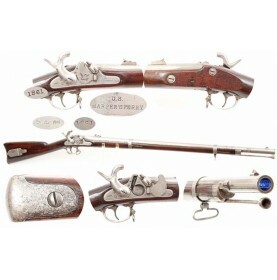 This is a VERY FINE condition example of a Tranter’s Patent 4th Model, single trigger percussion re.. 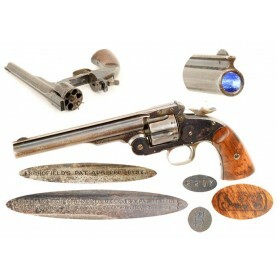 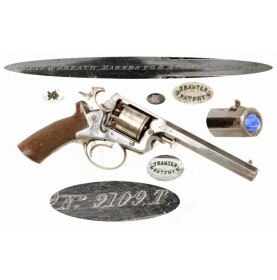 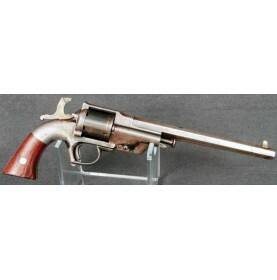 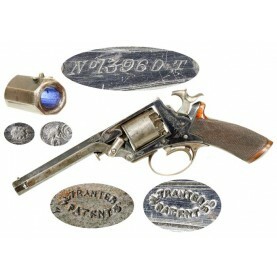 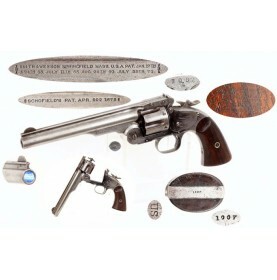 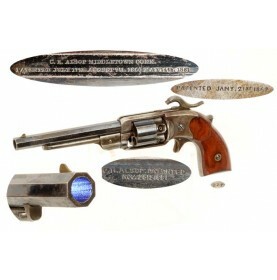 This is one of the rarer Civil War era Secondary Martial Revolvers that was made in small enough qua.. 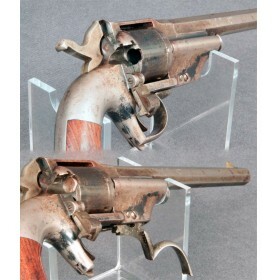 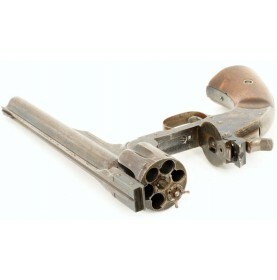 This is a VERY FINE example of an extremely scarce American percussion revolver with an interesting .. 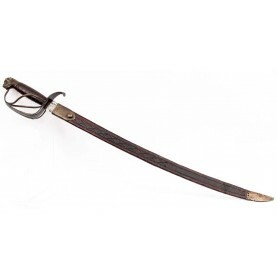 This is a simply wonderful example of a scarce American Officers’ Hanger circa 1760-1780, complete w.. 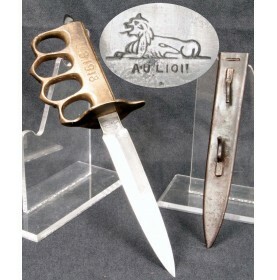 The U.S. Model 1918 Mark I Trench Knife was the second major “Knuckle Knife” to be officially adopte..